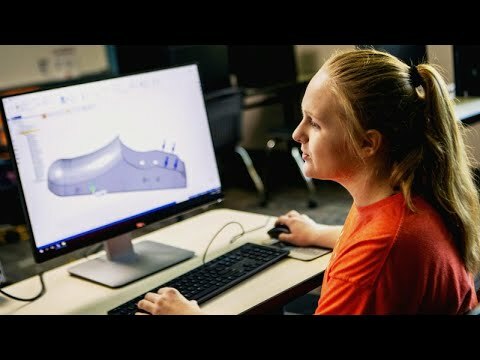 An Alabama high school student designed a prosthetic foot for a Marine who had his leg amputated after being shot in Afghanistan in 2012. Ashley Kimbel, 17, was interested in biomedical engineering and wanted to design a lighter foot so Kendall Bane could go snowboarding and mountain biking again. “We took the whole foot apart and we had crazy ideas,” Kimbel said. Bane already used a prosthetic foot, but the teen’s goal was to design one under two pounds to make physical activity easier.